The major cause of web insecurity is insecure software development practices. This highly intensive and interactive course provides essential application security training for web application, web service and mobile software developers and architects. The class is a combination of lecture, security testing and code review. Students will learn the most common threats against applications. More importantly, students will learn how to design and code secure web solutions via defense-based code samples, an exploration into the use of third-party security libraries and secure design review. Participants will work together on various secure coding and hacking labs as a class. Web application developers or architects, web security professionals, development managers, penetration testers, application security analysts, infosec professionals and anyone who are tasked with building secure web applications. 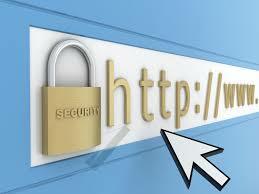 - Participants will gain a solid understanding on security architecture for web application. - Participants will have valuable insight on web application threats and hacking techniques commonly used by hackers. - Participants will learn how to conduct risk assessment and fix the vulnerabilities in web application.